With Mother’s Day arriving this weekend it’s time to lay out your plans for the big day. 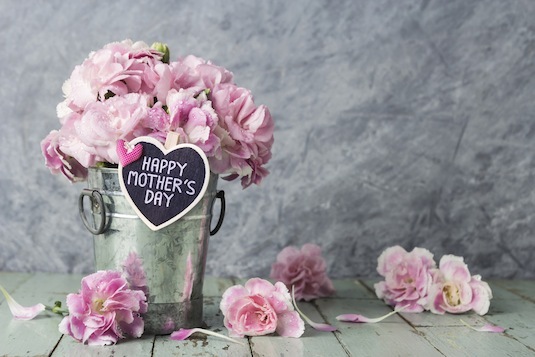 From special Mother’s Day Brunches taking place all around Myrtle Beach to active and exciting ways to spend the day, there’s plenty of fun things to do with Mom. Brookgreen Gardens offers a selection of tours, programs, and exhibits for all ages. Come stroll through the gardens on a guided tour or explore these beautiful spaces on your own. Take Mom on a guided scenic dolphin tour of the Intracoastal Waterway, Little River Inlet, and in the Atlantic Ocean. Dolphin sighting guarantee. Located in the Market Common Pedego Electric Bikes is open 12 to 6 p.m. on Mother’s Day. Take advantage of the Mother’s Day Special where Mother’s ride for free if they bring their kid along! Come experience Neverland at Captain Hook’s Adventure Golf in Myrtle Beach, SC. This magical flight of classic mini-golf reaches a true-to-life youthful nature where you can become a part of the Darling family and experience this enchanted island too. The most popular tour heads south from Myrtle Beach and overlooks the scenic coastal marshlands, estuaries and abundant wildlife of the Murrells Inlet area. There may be other copter rides but this one will take you over the beach for just $20 each. This 187-foot Ferris Wheel is made up of 42 glass-windowed gondolas. Each gondola holds up to six people. The ride is typically made up of three revolutions, which usually lasts between eight and 10 minutes. Or treat Mom to something special and choose the VIP option that takes place in a leather-seated gondola and lasts twice as long. Plenty to do at Barefoot Landing and home to a pair of the top entertainment venues in Myrtle Beach. There’s the House of Blues, a large live music hall and restaurant and The Alabama Theatre, home to some of the beach’s best variety shows and concerts. Come for breakfast and plan on spending the day.